All of this week, we are focusing on one main theme: Safer Technology. Children are looking at how technology has changed over time as well as the dangers that they may encounter when using technology. Overriding all of this week is empowering children to make the right choices when something on the website upsets or concerns them. Today we took part in Safer Internet Day 2017 which is in its 14th year. In the morning, we all gathered in the hall to look at the theme for this year which is 'Be the change: unite for a better internet'. As part of this, we were looking at personal information and photos that get uploaded onto the internet and the fact that once put on the internet, they might be on there forever. We looked at what information should be concealed and ended the assembly by taking a selfie picture with some children and Mr. Plant in which we followed the rules learned about safer uploading of pictures. This morning, children in KS1 and Year 3 took part in a coding workshop in the hall where they got to program our Beebots. Children had a huge amount of fun building houses for the Beebots to sleep in, knocking down animals using the Beebots and playing games using our Beebot town map. 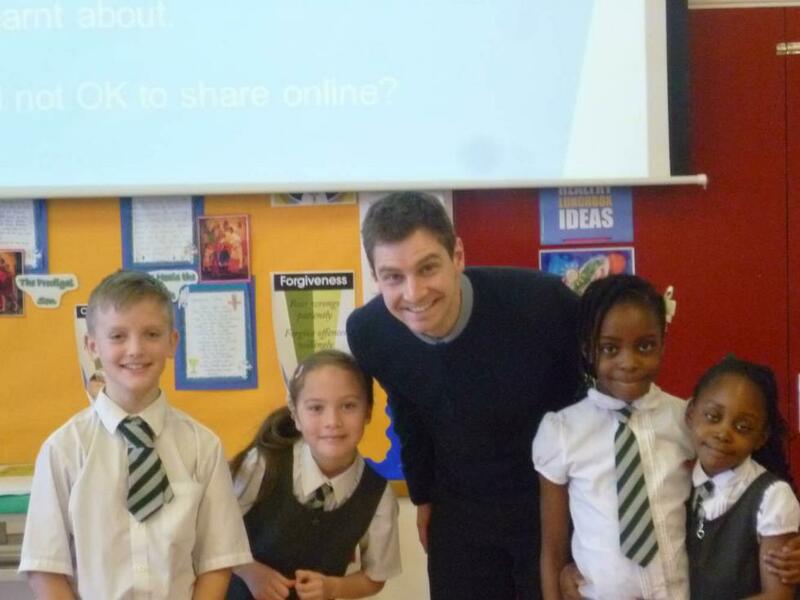 This afternoon, children have been completing activities linked to the theme for the Safer Internet Day. Reception, Year 1 and Year 2 have been looking at Smartie the Penguin. Smartie has something appear on his laptop and he was confused to whether he should click on it or tell his parents. Children had to advise him on what to do. Year 1 have learned a little song about what to do when you are unsure about something when using the internet.